It’s not soap making. Well, not literally. Saponification on wall paints is the result of the alkali reacting to oil, or in this case, the alkaline surface reacting to oil-based coatings forming a soap-like substance that is both soft and gooey– but not essentially fun to touch and look at, unlike your favorite chocolate chip cookie. Trust us. Saponification is prevalent on new concrete which is highly alkaline. 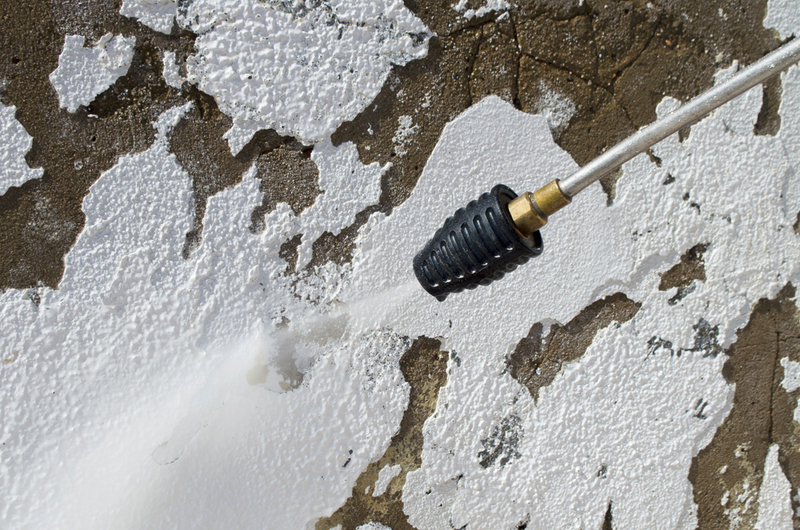 Under the extreme and continuous presence of moisture, it will thrive and cause the paint to deteriorate in no time. It starts with specks like the one you see above and then it softens, triggers the paint to lose its adhesion and color. Now, excuse us as we go technical with the process. Hang tight, DIYer. 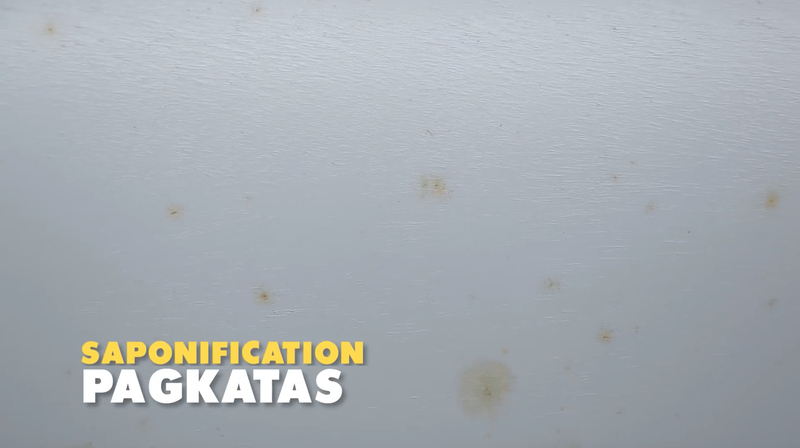 Taking from this detailed description of saponification, the mechanism of action of paint saponification is the same as any saponification process, except that we don’t intentionally want our walls to soap. Under alkaline conditions, the concentration of hydroxide (OH–) ions is high. These ions attack ester bonds (R-CO2-R’) to form carboxylate ions (R-CO2–) and alcohols (HO-R’). This chemical transformation breaks down large molecules into smaller components and produces molecules that are more polar than esters. And here is why the paint becomes foamy and easily removed by hard rain, since the polar components are prone to interaction with water molecules, it makes the paint mixture more soluble in water and weakens the paint’s ability to adhere to the surface. Friendly reminder: You should be made aware that the moisture that caused your wall paint to saponify might also cause it to blister, peel, and form other moisture-related paint problems. And it can happen simultaneously. So better check your walls and come prepared. There is no way to stop the saponification process once it invades your wall. The only thing left to do now is to strip and scrape all the paint film off the wall using your most trusted scraper. Clean the surface thoroughly and wash off the remnants. Where applicable, use a high-pressure washer to easily remove the paint and dirt. Sit back and wait for the surface to dry. Prepare the surface properly following these guidelines for old and new concrete and then proceed to repainting. One last thing, remember to avoid oil-based products on your next concrete paint job as it will only cause the problem to resurface. Got urgent painting problem inquiries? Don’t hesitate to talk to our technical team! Send your questions to ask@myboysen.com or call (02) 363-9738 local 417 to 418 for a one-on-one consultation.